To All the Boys I've Loved Before is the story of Lara Jean, who has never openly admitted her crushes, but instead wrote each boy a letter about how she felt, sealed it, and hid it in a box under her bed. But one day Lara Jean discovers that somehow her secret box of letters has been mailed, causing all of her crushes from her past to confront her about the letters: her first kiss, the boy from summer camp, even her sister's ex-boyfriend, Josh. As she learns to deal with her past loves face to face, Lara Jean discovers that something good may come out of these letters after all. Straight off the bat I'm going to say it: I LOVED this book. I know, I know, I say that about every book. But something about To All the Boys I've Loved Before is different. 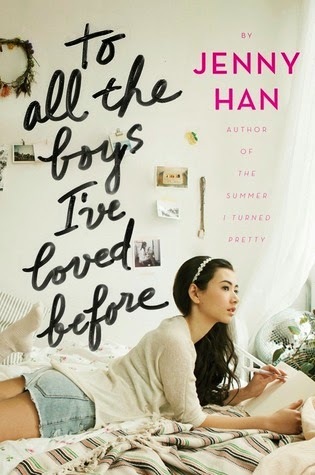 Whether it's because Jenny Han wrote it, or because I felt some connection to the story on an intimate level that only a repressed memory can prove I have no idea, but I loved it all the same. I always miss something out that I want to say when I do a rambling review so I'm going to change it up with this one - just so I don't forget anything. It's all too important to skip over. The cover. 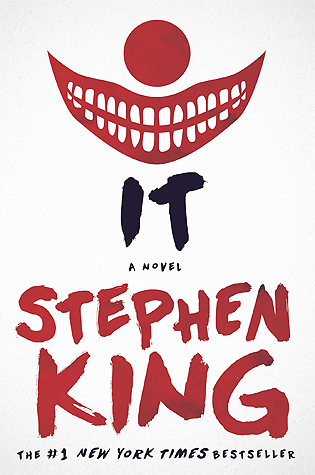 Honestly, I think it's one of the prettiest contemporary covers I may have ever seen. The model is gorgeous, for one. And the colours are so subtely girly and romantic, all the pinks and creams blend perfectly together. The whole vibe of the cover really fits the book and it gets bonus points for the title looking like it genuinely was written in sharpie. Beautifully done. THE! FAMILY! RELATIONSHIP! Most people have mentioned this in their reviews of the book but seriously, the family is done so incredibly well. The way that the middle sister and the younger sister argue and get on eachothers nerves really reminds me of how me and my sister are. I absolutely loved that we got to see so much of the family dynamic including the dad, it was so refreshing and realistic to finally have a family unit that isn't absent through most of the book. Kitty was probably one of my favourite characters throughout, she was so cheeky and loveable and I found myself so excited whenever I saw her name mentioned on a page. The love triangle (is it even a love triangle?) - I know, I know, everyone hates love triangles. But honestly one of the interests was hardly a contender so I doubt it really counts. Nevertheless, I thought it added some drama to the story, it's always good to have a little mystery. Besides, Peter needed someone to compete with, he couldn't get Lara Jean THAT easy now could he? That would just be insulting. Speaking of Peter, he's on this list. PETER. PETER KAVINSKY YOU BEAUTIFUL SONOFABITCH. I LOVE YOU. No, seriously, I love you. Lara Jean can be a little irritating. Some of the decisions she made really bugged me and I couldn't get past her immaturity at points. But this issue was very minor and the points that I really loved (as noted above) helped me overcome the faults that I found. I read that as 'tiny tissue' and was really confused for a minute hahahaha. AHHH I love all of this :D I adore this book too, and I can’t wait for PS I Still Love You! I definitely agree about Lara Jean though - she reads as a bit younger than the YA MCs I’m used to. But I thought it was a nice change and it kind of added to the young and fresh feel to the book, like everything was new. I'm counting down the days till PS I Still Love You's release! I think it's more than she reminded me of Laurel from Love Letters To The Dead in the decisions she made and they way spoke and Laurel is around 14 so it felt weird knowing she was 16/17 (My age) and read like a 14 year old hahaha. YES! Yes you should read that book. It's amazing! I loved this book too! This was my first Jenny Han novel, and it definitely inspired me to try out her other books as well. I can't wait for the sequel - I'm sure both the cover and story will be amazing! Yay! Glad to hear it :) Jenny Han is one of my favourite contemporary authors. Come to think of it I'd probably read anything she's written. I actually have this book, and I cannot agree with you more about the beautiful cover! I have it facing out because I like looking at it so much. And now, because of this review, I think I need to hurry up and actually read this book! I actually really love books that have an awesome family dynamic, so TO ALL THE BOYS I'VE LOVED BEFORE already has points from me on that front. It's a shame about the immaturity of the character at points, but I'm glad it didn't overshadow the things you loved! And a new book boyfriend? Hells to the yeah. Unfortunately I don't have enough shelf space to have any books facing out (it breaks my heart).